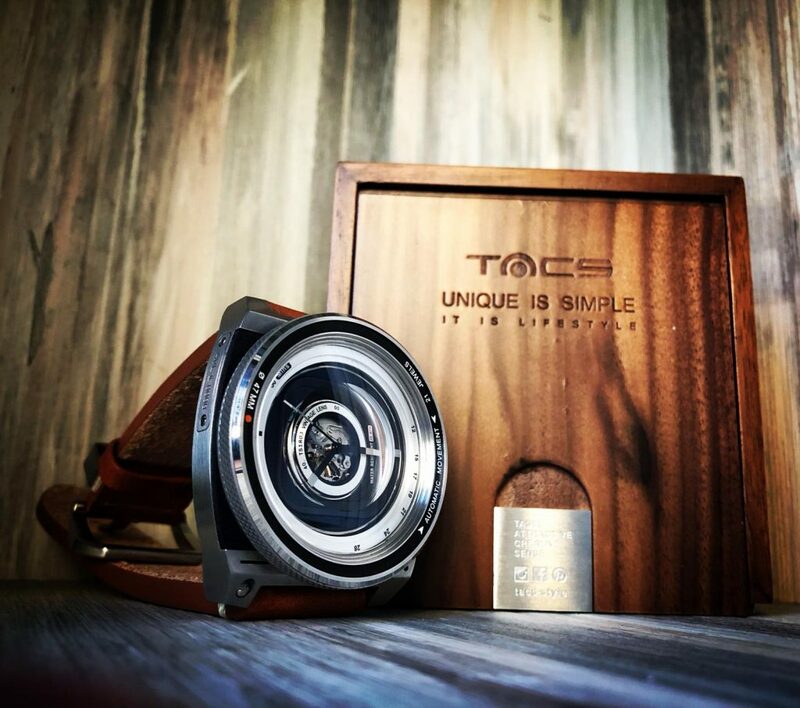 Back in 2016, I was invited by TACS to review their sample model, Automatic Vintage Lens (AVL) which was then launched on Kickstarter (successfully raised ~HK$800k) and the first version being limited edition, were all sold out after that. 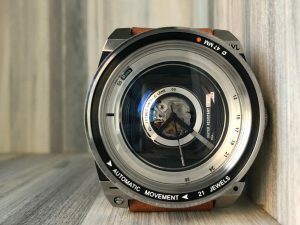 Back in August, I was re-invited again by TACS to check out their newer version of Automatic Vintage Lens (AVL2), and how could I say no to such a beautifully designed watch and also a chance for me to compare what has changed from the first version. A recap of the first version review by me : click here ! So, what’s the difference between the 2 versions of AVL & AVL2 ? Front & Side of Case : The case shape and size remains the same, but the big difference is the colour combination of the case. 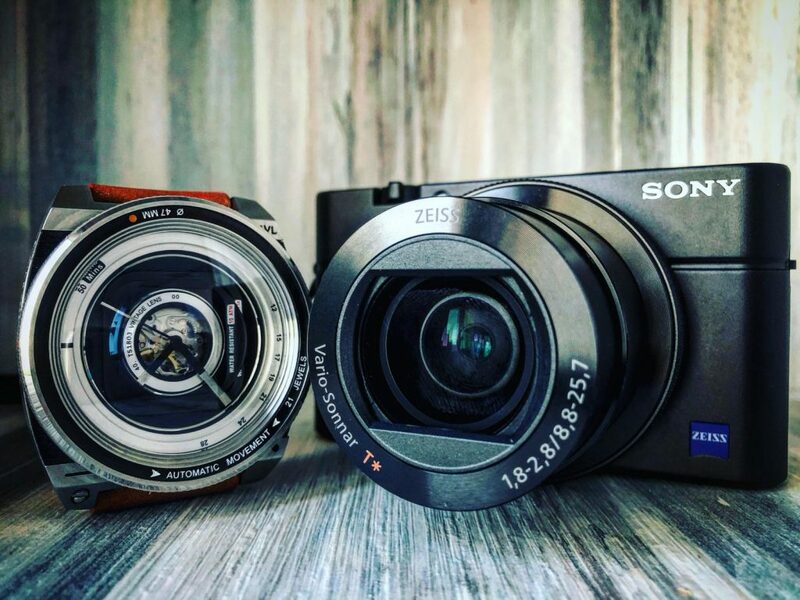 The AVL was in gold black combination whereas AVL2 now comes in a more classic vintage camera theme, which is black and silver. 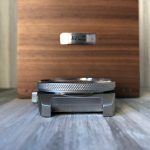 On the left side of the case, it’s the same with the stainless steel plate engraved with serial number and on the other side, additional engraving of BPH 21600 (indication of the movement’s frequency). On the top right of the case, its engraved with the model “AVL“. 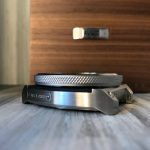 Bezel : The focus ring (a.k.a. bezel) has reinforce the edges to a diamond-cut mesh grill for a much comfortable feel when rotating and it’s much looser but smoother compared to previous. On the top, an orange circle bezel pip next to the 47mm engraving is a new addition. Crown : A change from push/pull to screw-down crown. Similarly to the bezel, the edge is now diamond-cut mesh grill to allow a better screw/unscrew down experience on it. Exhibition Caseback : The design looks more balance with the black & silver combination colours. 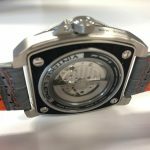 Same description engraved on the side of the exhibition caseback but with 4 equal size screws on each corner as compared to previously where 1 screw was larger than the other 3 screws. Dial & Hands : There are more indicators on the side of the dial, and a more obvious difference would be the additional steps around the center dial. The hands are similar but different in terms of colour contrast. The fisheye effect on the newer version is much more noticeable as compared to the previous. 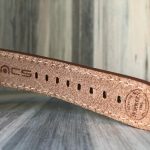 Leather Strap : I like how they maintain the strap with Horween as they produces one of the top quality straps in the market today. 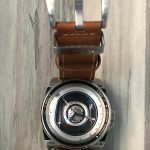 The major difference would be the colour scheme from a dark brown to a lighter tan, a matching buckle colour and the fixed keeper is a stainless steel with engraving of the strap size “24×22” and branding of “Horween” on it. Another enhancement to the strap is the quick release pin feature. A quick early impression of what I like about the AVL2 ? I really like the colour combination this round as compared to the previous Black & Gold. 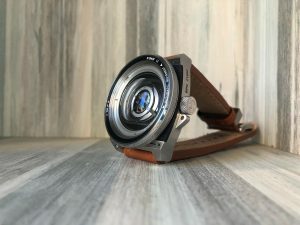 This really matches the vintage lens theme perfectly based on the iconic film cameras ! The diamond-cut mesh grill on the bezel and crown is definitely a nice touch. 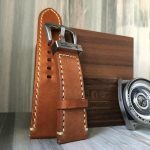 The calf leather strap by Horween is definitely of a top quality and I like how they design it differently with a stainless steel fixed keeper design. 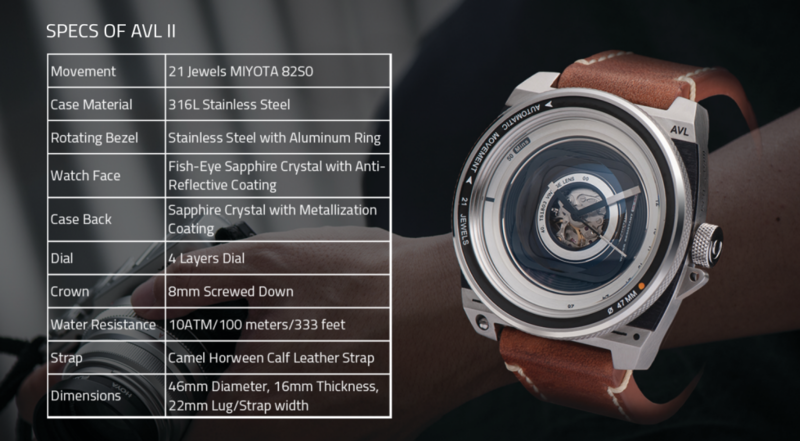 The exhibition caseback looks neater aesthetically and well balance. The packaging design was not left out by the brand, ensuring the unboxing experience starts from the box itself ! These are the little details which I appreciate a lot when brand takes more effort to beautify the packaging. What could have been better based on my personal opinion ? The minute hand is ok, but the hour hand would have been better if it’s slightly different, probably with a full black hand with side silver lining around it ? 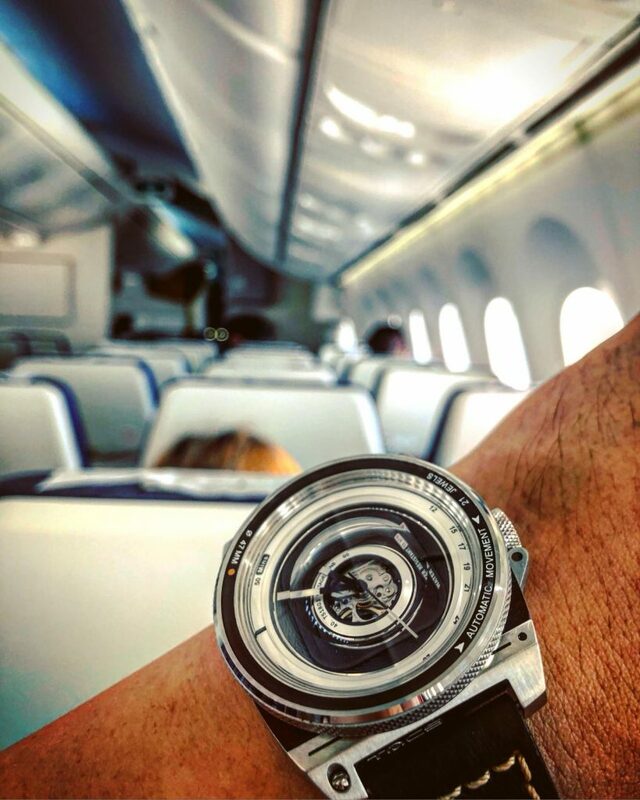 Reason being I could see the minute hand clearly with the longer silver portion but for the hour hand, it’s short and sits above the silver inner circle, when under daylight it’s sometimes difficult to check the hour. Like most cameras, there is usually a build-in flash. As per my previous comment, I would have wished it came with luminous somewhere but it’s no where to be seen on the AVL2. 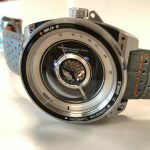 It would be nice if they could design a button that integrates solar power to lume up the inner dial (since the watch is not battery powered). This would be a cool addition in the next version if this is possible ? 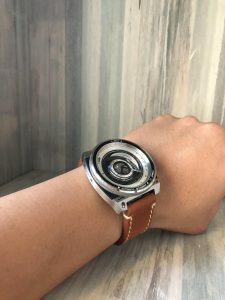 I like the steel keeper concept but somehow it’s not really functional at the fixed keeper location because everytime I would slot in the strap, I’m sure it greases through the keeper and sooner or later it may cause some damage onto the strap. 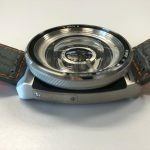 However, it would be better if it’s swap over to the loose keeper instead and that way, the concept is preserved and the loose steel keeper will not be able to cause any damage onto the strap. Case : Re-using the same case shape and design from the previous version, the major change would be the colour combination on it, from Black & Gold to Black & Silver. This colour combination showcased the watch design is truly inspired by the vintage cameras. 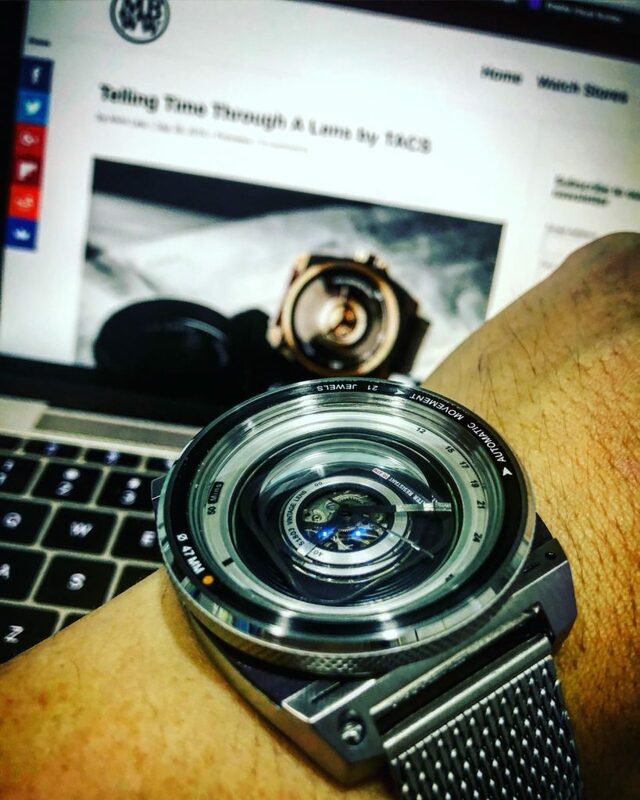 The bezel, an inspiration from the focus ring, does not provide any time functionality but it’s rather aesthetically a feeling of zooming and focusing the lens. Nonetheless I really like the grip of the bezel now with the diamond-cut mesh grill and the rotation of the bezel feels so much smoother compared to the previous version. The same goes with the crown, and I like how they consider changing to screw-down as it’s much more secure to meet the 10ATM benchmark. 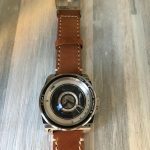 Aesthetically from the front view, it now really looked like a vintage film camera and it’s so much easier to mix & match straps as I have tried with a dark blue leather strap, mesh steel and also racing theme light grey strap too. Dial : The concept did not change with the exposed skeleton movement at the center of the dial. There are slightly more minute indicators on the dial. 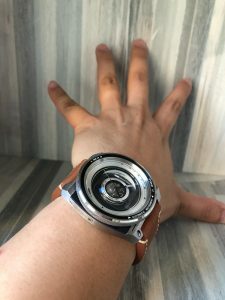 The fish-eye effect is much better as compared previously and lastly I really like the minor details that was implemented onto the dial that can’t be seen clearly through the naked eyes, which are the layering of the dial and the side steps seen around the dial. 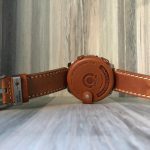 Strap : It’s a Horween, internationally recognised as a top quality strap and clearly it did not disappoint me here. 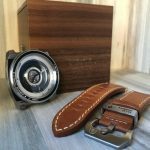 With a 24mm lug and terminates at 22mm, accompanied by a fixed stainless steel keeper and a leather loose keeper, finishing it with a signed buckle. 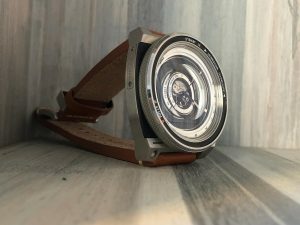 It’s thick but feels comfortable on my wrist, with its’ lighter colour and beige stitching, it really gives a vintage feel to the overall watch design. My only comment as mentioned earlier is the fixed stainless steel keeper, where it would have been better off if it’s on the loose keeper side instead. Otherwise, the strap would have been perfect ! Packaging : Comes in a wooden box and it’s not just a plain box. Every side of the box is engraved with certain details and design, which is really cool. 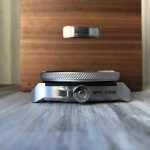 I like how I need to slide the top to unbox the watch and with all cameras, there is usually a lens cap. 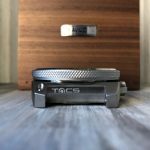 TACS ensure there is also a “lens cap” for the AVL with a leather made cover protecting the watch case. 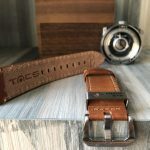 Summary : Clearly a lot of minor details and attention has been thoroughly thought of by the designers from TACS to ensure the whole watch concept matches the theme as accurately as possible. 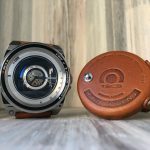 I know my review is a bit late but I would only write the review once I have actually field-test it myself long enough for me to provide my inputs and thoughts of the watch. TACS have launched AVL2 on pre-order since 10th September and is currently going at US$440 (20% discount off the expected retail price of US$550) and this pre-order will end on 13th October. 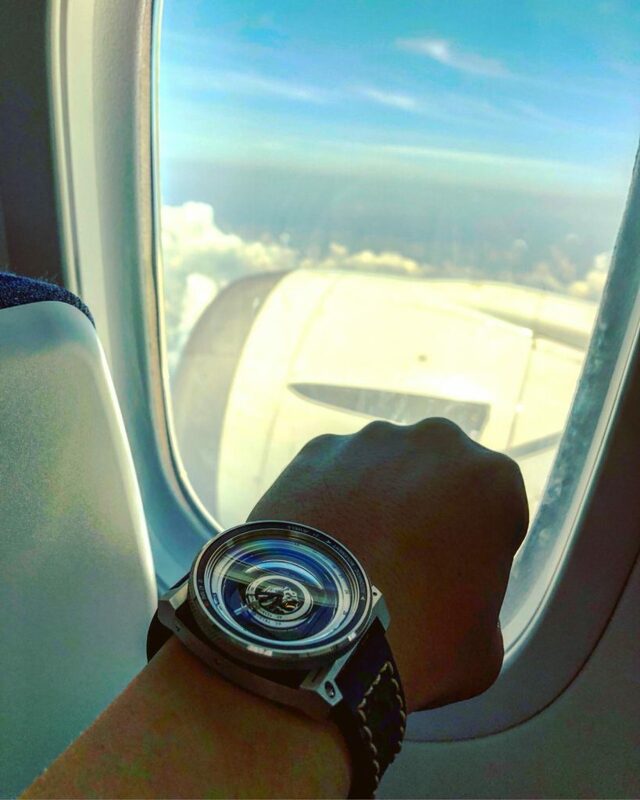 Clearly there is no risk on the brand as TACS have been in the microbrand market for quite some time and they have been participating in watch shows in many location (most recently at the Hong Kong Watch Fair in September 2018). 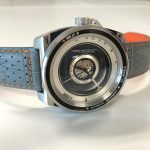 I would recommend this watch not for its’ functionality but for its’ design as it’s not one of those typical normal watches out in the market today. 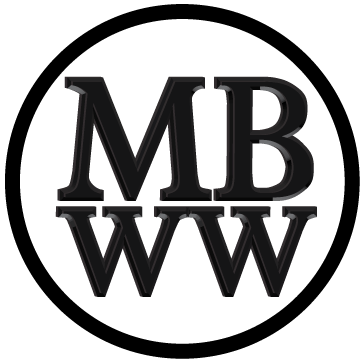 I would like to re-use the same phrase I used in my previous review to end this article, “We see the world through the lens of all our experiences and time is a lens for experience“.